Here's a Joystiq article for you, because there's honestly nothing else at the moment. It's a joint effort by thechineseroom and Frictional, and they hope to have it out before Halloween. 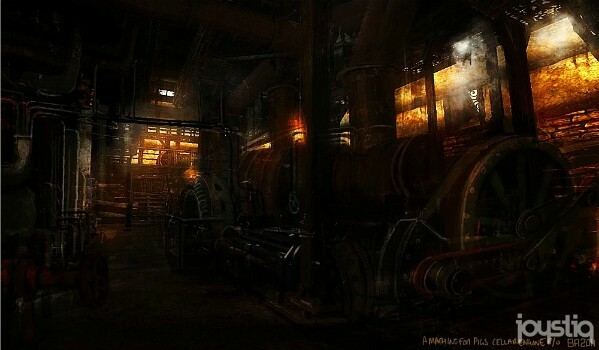 It takes place sixty years after Amnesia: The Dark Descent at the turn of the twentieth century, yet the next game to carry the franchise's moniker will feel like familiar territory in one major respect: it is built to scare you senseless. It's six-o-clock in the morning. My tea jolts me awake. The street outside is silent. It's serene and peaceful all around me, until I call Frictional Games designer Thomas Grip. His voice booms in my headset; he's obviously excited. This is the first time his team can talk about his upcoming project. This is how I was introduced to Amnesia: A Machine for Pigs. Dear Esther writer Dan Pinchbeck of thechineseroom joins the call, his voice also brimming with glee. The three of us discuss game design, crowd-sourced funding, and how the two companies, Frictional Games and thechineseroom, came to work together. After a while it dawns on me that no one has told me the name of this upcoming endeavor. I ask why we're playing the pronoun game. The title is referred to as "it" in place of any mention. Pinchbeck takes a breath to sturdy himself, almost to toss away his glee before he can properly reveal the upcoming horror title. "It's called Amnesia: A Machine for Pigs," he says. There's silence. "A Machine for Pigs?" I ask. The pair start to laugh. I'm not sure if they're having a laugh at first. Grip hears the hesitation in my voice -- primarily because I wanted to make sure I got the name right -- and speaks up. He explains the first time he heard it, he was against it. "But Dan said, 'No. This is the name.' Now it has just grown on me. Now it can't be called anything else." "If we don't get as many cool YouTube videos of people having fits, then I'll be disappointed." Pinchbeck, who is acting as lead writer and designer on the project at developer thechineseroom, explains the title and in one fell swoop my confusion in its selection is assuaged. There's a purpose to it both in a narrative sense and as a staple of Amnesia's theme: get people out of their comfort zone. "What I loved about Amnesia [The Dark Descent], is you spend the first half of the game going, 'I really don't know what's going on and I really don't like it.' The second half of the game you think, 'I know what's going on and I wish I didn't,'" Pinchbeck begins to explain. He tells me those who have heard the name are confused, even disturbed by it. "That's exactly the response I wanted," he adds, promising it will make sense when players get their hands on the finished product. There's no direct connection to the first game, the pair reiterate, but it is set in the same "universe." 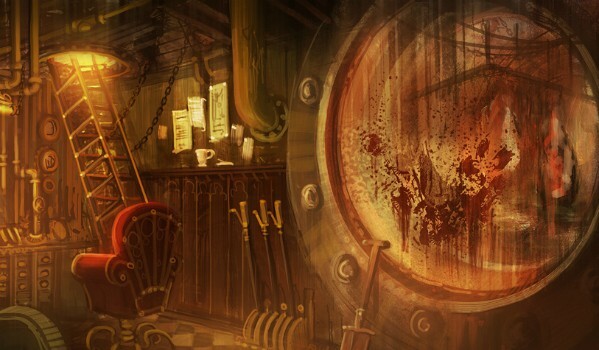 Amnesia: A Machine for Pigs takes place in on New Year's Day in 1899, in London. "It's full-on Victoriana," Pinchbeck reveals, delving deeper into the plot. At its core, A Machine for Pigs follows the same terror-inducing principles as the first, but changes the gameplay to keep things fresh for veterans. 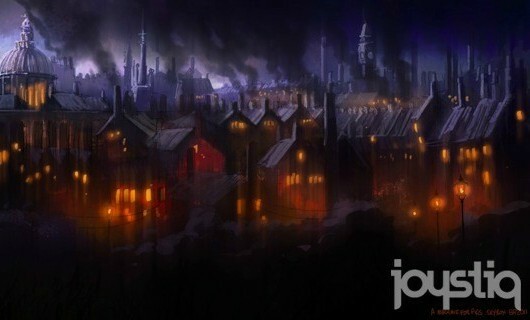 "People going in will not know what to expect," Grip says, noting that elements from The Dark Descent have been ripped out of the game, and new ones have been added. Neither will budge on details, only to say it remains a first-person horror title. Both agree the game has a high bar to aspire to. "If we don't get as many cool YouTube videos of people having fits, then I'll be disappointed," Pinchbeck jokes. "We tried looking at protecting the sense of it being an Amnesia game and really belonging to the design template that was set up [by the original]. But it's doing quite a few things that mean players won't be able to play it like Amnesia [The Dark Descent]," he adds. A Machine for Pigs began development in December 2011, but the idea dates back to 2010. "Jens [Nilsson, designer at Frictional] and I were discussing that we should be doing something more with Amnesia, but we didn't have time for it. The deal was, 'Perhaps we could collaborate with someone else.' Then about a year later, Dan's name popped up," Grip tells me. "We just wanted to see if anyone would notice it." It "floated up" as an idea, but it wasn't until Pinchbeck met with Frictional that summer during GDC Europe that a plan began to form. Development duties are in the hands of thechineseroom, with Pinchbeck returning to work with members of the squad that crafted Dear Esther, using Frictional's HPL Engine 2. There were a few months where ideas would bounce between the two studios, both asking how they could possibly follow up on the critically praised Amnesia: The Dark Descent. The giddiness in their voices tells me they're convinced they can compete with their own success. It's the playfulness exuded by intelligent designers -- or maniacal horror fiends. Both designers admit that publishers, both small and large, have attempted to woo them. Some offered to finance Frictional's next title. Grip outlines one pitch to bring Amnesia: The Dark Descent to Xbox Live Arcade, but admits the team wouldn't have the "time or willpower" to get it right on console. Amnesia: A Machine for Pigs is a PC title, with Mac and Linux versions to be released if not at the same time then "soon after" launch. The pair are proud that they can afford to develop the game, with Frictional -- acting in a production role -- financing the project. Crowd-sourced funding from services like Kickstarter seem intriguing to both teams, but Frictional says it has enough resources to meet the game's budgetary needs. Doing things on their own seems to be working just fine. On a whim, Frictional decided to upload a blurry image to NextFrictionalGame.com, a site that Frictional hadn't touched in two years. "We just wanted to see if anyone would notice it," Grip tells me, noting the site garnered only the occasional visit. "Then we saw it was popular and decided, 'Okay, let's make it less blurry.'" Eventually, things exploded, and the two teams managed to craft an alternate reality game out of a throwaway idea. Hints to thechineseroom and its recently launched title Dear Esther were added. Fans clamored to solve the riddle, even going so far as to try to bypass Frictional's server. When the phrase The Chinese Room was discovered, fans connected it to a business in Seattle that bore the same name. In its own forums, Frictional's Jens Nilsson begged fans to stop calling the restaurant. No firm release date for the game is established, but the two teams are hoping for a launch prior to Halloween of this year. If, for some reason, the game's name still leaves you dumbfounded, Pinchbeck offered an answer in the form of a line extracted from the upcoming title's own script. "This world is a machine fit only for pigs. Fit for the slaughtering of pigs." Like I said: intelligent designers or maniacal horror fiends. Perhaps both. I'm... excited! Or scared! Probably both. "the name sticks with you"
Is this gonna be released as a sequel or an expansion?